Many patients avoid going to the dentist due to fear. Unfortunately, fear of the dentist is not uncommon and sometimes this deep rooted fear can prevent patients from visiting the dentist for long spans of time. These patients tend to only visit the dentist when pain and infection drive them there. But it doesn’t have to be this way! 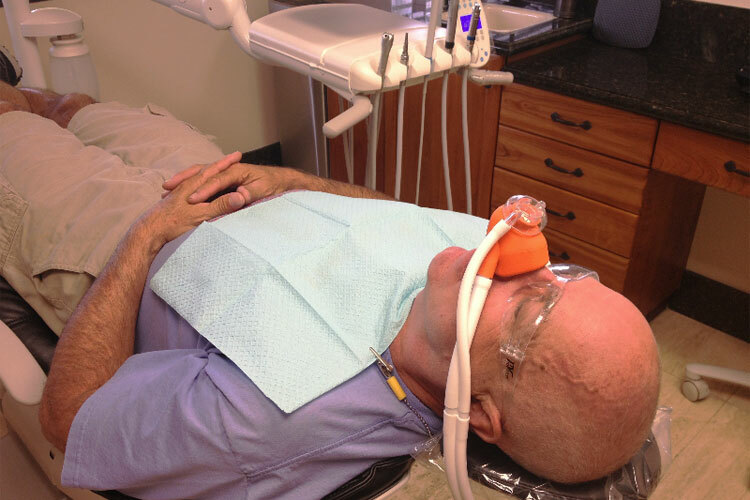 Luckily Dr. Dan is certified in oral conscious sedation. Patients are able to take a little pill prior to their dental appointment. This medication makes the patient very relaxed and sleepy so that the doctors are able to complete all of the patient’s dental treatment while they are taking a peaceful nap. This is a much more affordable option when compared to IV sedation and allows fearful patient’s to tackle their dental problems before those problems become an emergency. At Dr. Dan and Dr. Alexis’ Office we accept most traditional Preferred Provider Organization (PPO) dental insurance plans. To verify acceptance of your specific plan, please contact our office at (661) 481-0884. Unfortunately, our office does not participate in Health Management Organizations (HMOs). As a courtesy to you, our patient, we will happily file PPO dental insurance claims for reimbursement on your behalf. We also accept payment via check, cash or credit cards and offer flexible payment plans and no interest financing through Care Credit. Additionally, many of our patients without insurance are taking advantage of our Dental Health Commitment Plan. Please feel free to contact our office for additional details. We would be thrilled to assist you! Daniel J. Iannotti, DDS, Inc.
© Daniel J. Iannotti, DDS, Inc. – Serving Santa Clarita & Valencia.